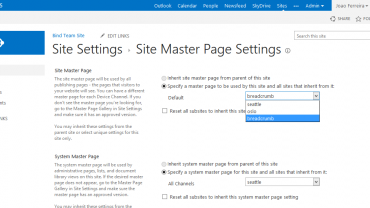 SharePoint Master Pages are designed to modify the look and feel of your SharePoint website. To add vibrancy and present your business at a livelier prospect, we at Velocity are present with a dedicated team of SharePoint Master Page designers. Our smart and talented designers create SharePoint Master Pages in Responsive pattern by utilizing Bootstrap, HTML5, J-Query, CSS3, Grid layouts etc to apply responsive web design in a SharePoint Master Page. Our team works in cohesion for better understanding of our client’s requirements and to deliver results that owe success. In order to provide our clients with the best service, we focus on designing and customizing such web pages that attract customers at once. For engaging customers to your site, you need to have a professionally designed theme with unique layout and images. Our designers present their hard work and experience so as to create a professionally designed web page for your business. Our services allow you to turn your static HTML templates into SharePoint Master Pages and Page Layouts. The common elements of a page including navigation links, header, Site Actions menu and so on. The continuity of look and feel is accomplished by using customized SharePoint Master Pages. 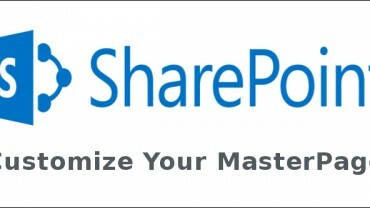 Sharepoint MasterPage Customization services which we offer takes your business to a successful level. With this innovative feature, you can divide the content of your website on various master pages in order to modify its look. Besides, it also provide you with an option of hiding SharePoint components and modifying the layout features as per business requirements. With SharePoint features, you can also select a theme of your choice and add to the webpages.